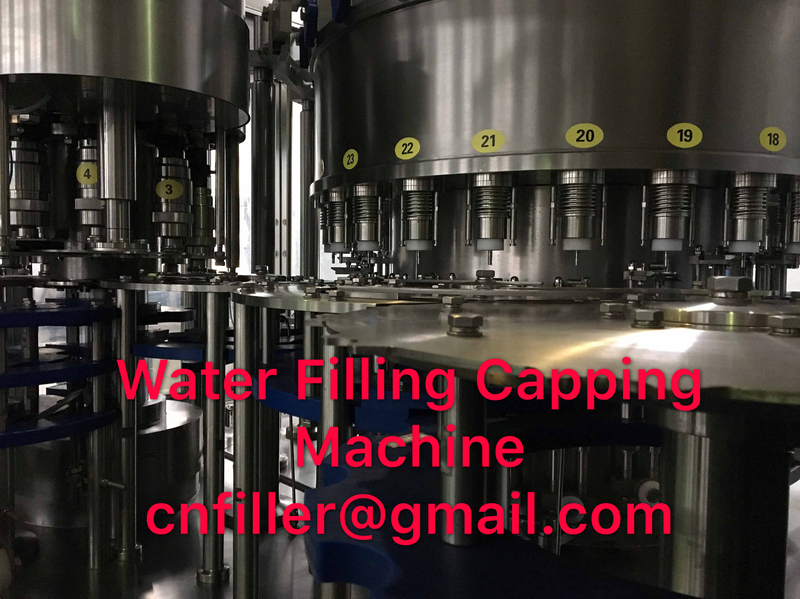 Bottled Water Production Line is designed for filling mineral water, purified water or other non-carbonated liquid into PET bottle. Application: Mineral water and other bottled water etc. Applied Containers: PET bottles with various capacities and shapes. Filling System: Mechanical Valve or Flow-Meter Valve. Capacity: 5,000-48,000BPH. 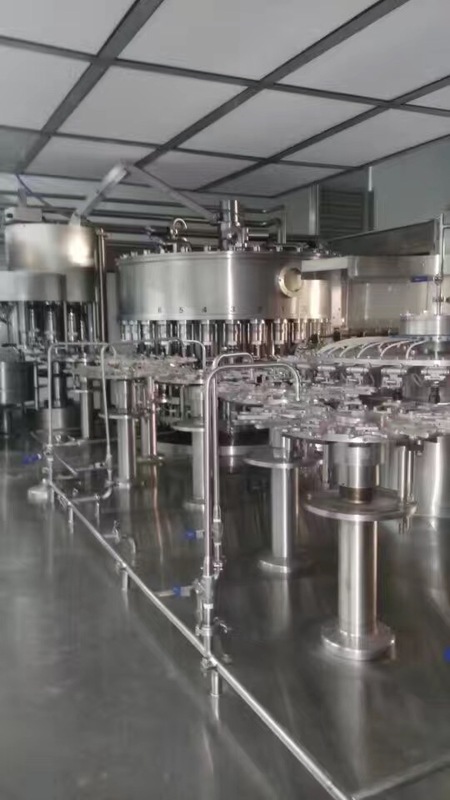 Product’s scope: Blowing molding system, air compressor system, filling system , purification system, caps sterilization system, sterile air system, filled bottle conveying system, labelling machine, carton/film packing machine, palletizer, electric control, engineering design and construction. 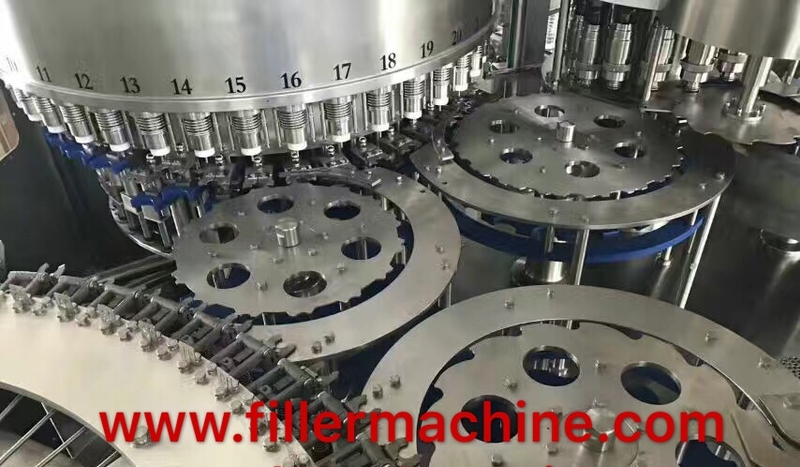 Rinser-Filler-Capper Monobloc is an efficient automatic liquid packing machine that perfectly combines bottle rinsing machine, pressure filling machine and capping machine. Empty bottles are orderly fed into the rinsing machine by an air conveyor, and then are turned over and washed inside by the nozzles. 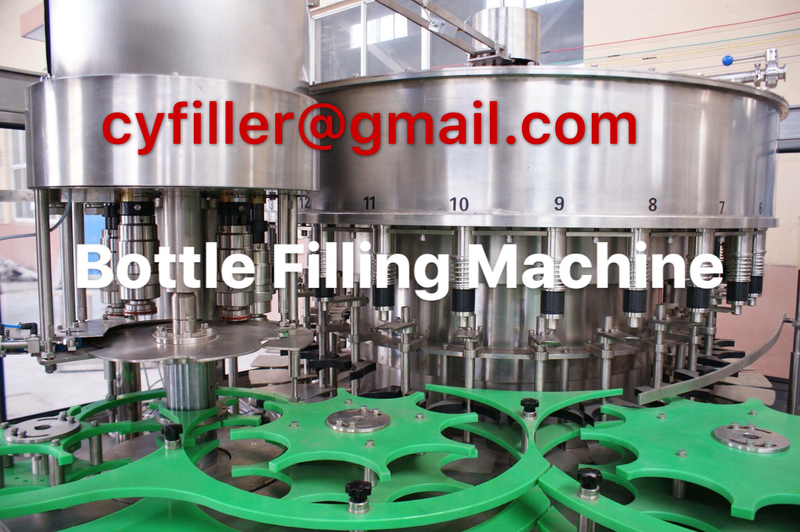 After dripping, bottles are automatically sent to the filling machine for high quality and high speed filling. At last, the capper is used for safe and reliable capping of these bottles. 1、All parts in contact with liquid and material are made of superior stainless steel to meet the requirement of food hygiene. 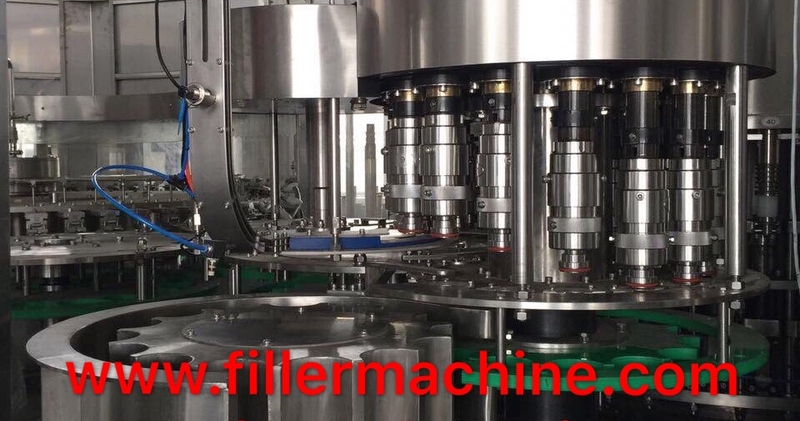 2、Adopting Mechanical valve or flow-meter valve filling, the filling machine can accurately fill at high speed while maintaining high filling quality. 3、Bottles are fed by the air conveyor, conveyed by clipping the bottle neck, and put out via the conveyor chain, thus making it easy and convenient to change bottle size. 4、Our bottled water production line is controlled by frequency conversion motor+PLC+man-machine interface. So production speed, shift production and failure alarm etc. are displayed on the screen for simple operation. 5、The machine is equipped with stainless steel shield and safeguard door (made of organic glass, with safety electrical switch). The machine will automatically stop when the door is opened.